The sixteen day safari package is one of our longer packages, but it so packed with activities the days rush by and you’ll probably not believe it’s been a full 2 weeks and a couple of days at the end of your safari. This safari starts in Nairobi Kenya, takes you to Tanzania and then brings you back to Nairobi. On arrival in Nairobi you will be met by one of our guides and transferred to your accommodation in Nairobi. A night in the busy Kenyan capital should start off your safari quite well. After an early breakfast you will embark on a two hour drive to Lake Naivasha on the rift valley floor. On the drive you will take some very scenic views of the African plains. At Lake Naivasha you will have lunch and then go on to enjoy the beautiful scenery and explore the area. Lake Naivasha is rich with bird life so you can enjoy some bird watching and enjoy a leisurely relaxing and relaxing afternoon. The next day, you have all the time to take in all the beauty of Lake Naivasha. You can go on a boat safari to the crescent island, a biking safari to hells gate national park, climb up Mt. Longonot or just sit back and enjoy the lake side. The choice is yours. Days four to six will be spend in the Masai Mara national reserve. After breakfast you will embark on the over 5 hour drive to the reserve. This journey can be quite tiring but you will make a few stops to relax, and also stop for lunch. You will reach camp in the late afternoon or evening and the best thing to do is just freshen up, enjoy dinner and a camp fire and retire for the night. The next day will be spent in the park, on game drives, hoping to catch sight of the big five. The Mara reserve has such a variety of wildlife a game drive across these plains is well worth the effort and time you will see animals such as lion, cheetah, wild dog, jackal, hyena, vultures and so much more.. There is also the annual wildebeest migration to look out for, thousands of gazelles, zebras, and wildebeests on the move from the Serengeti to the Mara. And it happens every year. you can also visit the Masai cultural center to learn more about the tribes and its traditions. On day six, one last morning in the Masai Mara, and then you will be off to Kisii town where you will spend the night. The journey to Kisii is quite long but you will stop for breaks along the way to rest and eat something. after an early breakfast you will check out and set off to Isibania, a small border town in Tanzania on your way to Serengeti national park. You can enjoy a game drive on your way before heading to your campsite or lodge for lunch. Afterwards, you may also go for a late afternoon game drive if you want to. The next day is a full day of exploring the Serengeti national park. go on game drives nature walks, hikes, bird watching , whatever interests you. After one last game drive in Serengeti national park you move on to Ngorongoro conservation area. 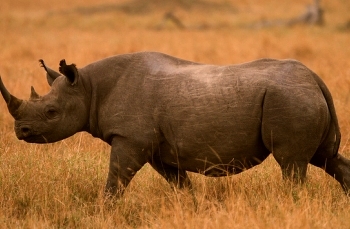 It is a two hour drive from Serengeti to Ngorongoro. Enjoy the wilderness that surrounds the Ngorongoro crater and the sights and sounds. On day ten, you will go on a game drive descending to the floor of the crater, which has a vast population of wildlife, birds, and plants. 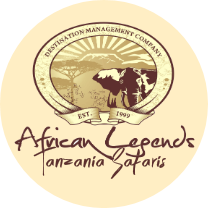 After the game drive you will get back on the road and travel to Arusha, where you will spend the night. Arusha-Nairobi-Mombasa In the morning you will board a shuttle bus to Nairobi, and from Nairobi, catch a flight to Mombasa. The travelling will probably take the whole day so when you reach Mombasa, you will simply book into your hotel and relax. For the next few days you get to explore and marvel at the attraction in North Coast Mombasa and crossover to the South coast as well. Some of the attractions you can check out include: Haller park which is an animal reserve created from an old limestone mine, Fort Jesus, the Old town markets and so much more. The time spent on the south Coast is simple relaxing leisure. Enjoy the sun, the sand and the people. Departure On day 16, which is your last day on safari, you will check out of your hotel, and travel back to Nairobi, and catch your flight home.